Students examine the development of multiculturalism in Australia and explore ways in which government policies, including immigration and Aboriginal and Torres Strait Islander policies have changed over time. 1. Using the class as a ‘typical’ cohort investigate the ethnic origins of the students and, if necessary, use a world map to locate places of origin. Broaden the investigation by using the internet and other sources, for example, ABS data, to build up a picture of Australia’s demography. How ‘typical’ is the class data compared to the Australia-wide data? 2. Australia has often been described as a ‘multicultural’ country. Ask students to discuss what they think this means. 3. Using the video clip, locate and discuss the journey of Cuc Lam. 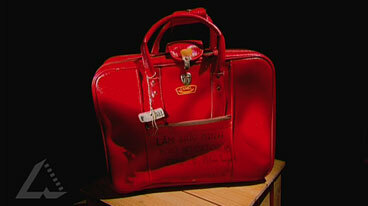 List the items she carried in her suitcase. What do these items suggest about her beliefs and values? How ‘useful’ do you think the items might be on her arrival in Australia? 4. Bring a suitcase in to class. Ask students to reflect about the items they would bring with them if they were to leave, probably permanently, Australia for another country. Ask students to collect their items and to bring them to class, where they would be asked to place their items in the suitcase and to discuss their choice of items. Go to Global Express to see what modern refugees do take. 5. The use of the word ‘multiculturalism’ by some prominent Australians has recently been reported in the media. Using the internet and other sources,including the six hat strategy, investigate the debate and construct a table of the people who are engaged in the debate, the arguments being used for and against the use of the word ‘multiculturalism’ and why these people might be making their arguments. Finally ask students to write their opinion about the deabte of the use of the word multiculturalism.